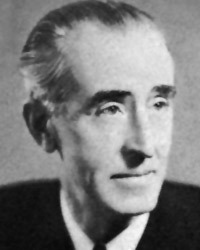 American pianist/composer John Thompson (1889-1963) was born in Pennsylvania. At an early age, he appeared as a concert pianist in all the principal cities of America and Europe, where his brilliant playing received much praise. After concluding his concert career, he headed music departments at conservatories in Philadelphia, Indianapolis, and Kansas City. During these tenures he developed certain definite and original ideas about teaching, and in a short time became famous for his sincere efforts to interest young students in pianism. His Teaching Little Fingers to Play and Modern Course for the Piano remain some of the best-selling methods in the world today. Add to Wish List Add to Cart Thompson's popular Note Speller includes drills in notation and musical rudiments for the piano student. Notes are presented so that learning to read notes goes hand-in-hand with the student's piano lessons. Add to Wish List Add to Cart A Willis best-seller. The famed Hanon exercises have been specially edited, annotated and arranged by John Thompson. They've also been given new titles e.g. “The Lame Duck” for drop-roll exercises, and “Ice Skating” for legato playing. Suggested technique companion to JT Modern Course Grade 1. Closer Look Add to Wish List Add to Cart 17 easy piano solo arrangements of familiar tunes and rhymes that students will want to sing and play! Progresses from early to later elementary. Songs include: Alice the Camel • The Animal Fair • Baa, Baa, Black Sheep • Happy Birthday to You • Michael Finnegan • Polly Wolly Doodle • Three Blind Mice • The Wheels on the Bus, and more! *For students using the Easiest Course, this book is best used after Part 2 or 3. Closer Look Add to Wish List Add to Cart 15 easy piano arrangements of popular showtunes to sing and play! All arrangements are only two pages long and include lyrics. Titles: Be Our Guest • Can You Feel the Love Tonight • Chitty Chitty Bang Bang • Defying Gravity • Don't Cry for Me Argentina • Electricity • I Dreamed a Dream • I'd Do Anything • Over the Rainbow • When I Grow Up • and more! *For students in the Easiest Course, this collection is best used after Part 2 or 3. Add to Wish List Add to Cart The Modern Course series provides a clear and complete foundation in the study of the piano that enables the student to think and feel musically. It may be preceded by the Teaching Little Fingers to Play series. Follows uninterruptedly and in progressive sequence the musical foundation developed in Part 1.